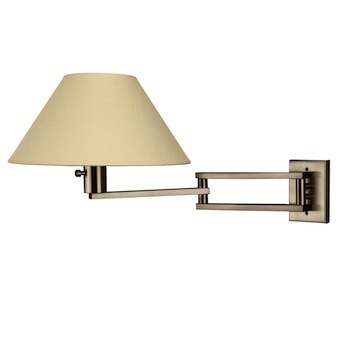 Sturdy, double jointed swing arm wall lamp with fabric shade. Single light lamp. 1 x 100w 3-way medium base bulb included. 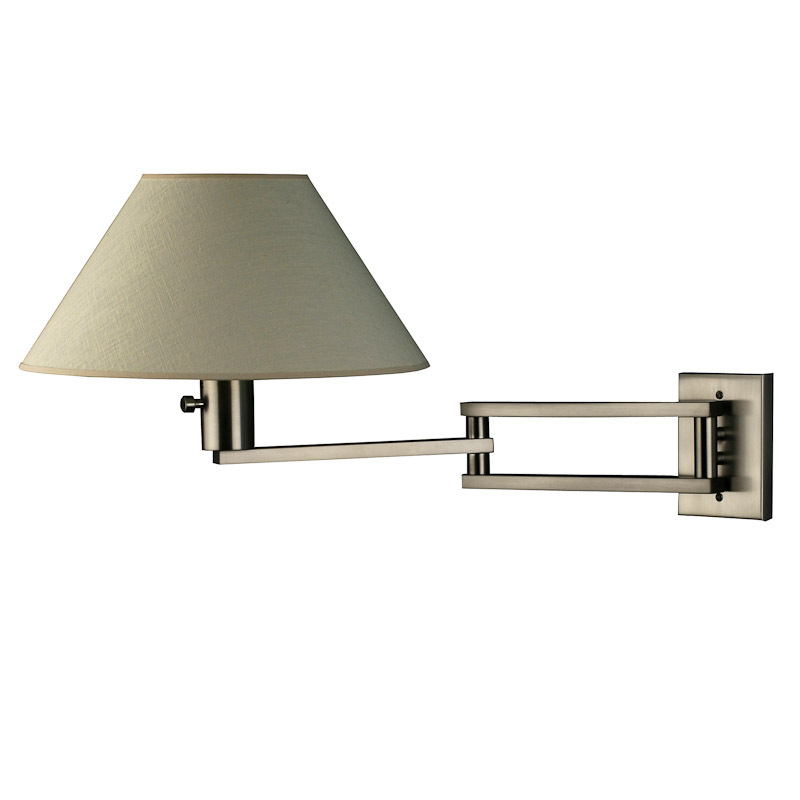 Full extension of lamp measures 25". Dry location rated. 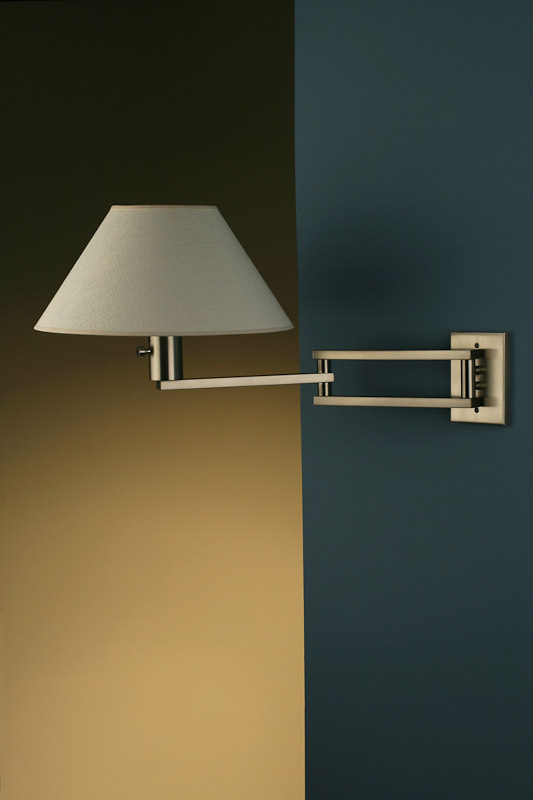 Available in brushed nickel and polished chrome. Polished brass, brushed brass, and bronze are available as special finish orders. Please inquire.